If you can cast your mind back to a couple of posts ago you may remember I was in Dubai briefly, where these photos were taken. 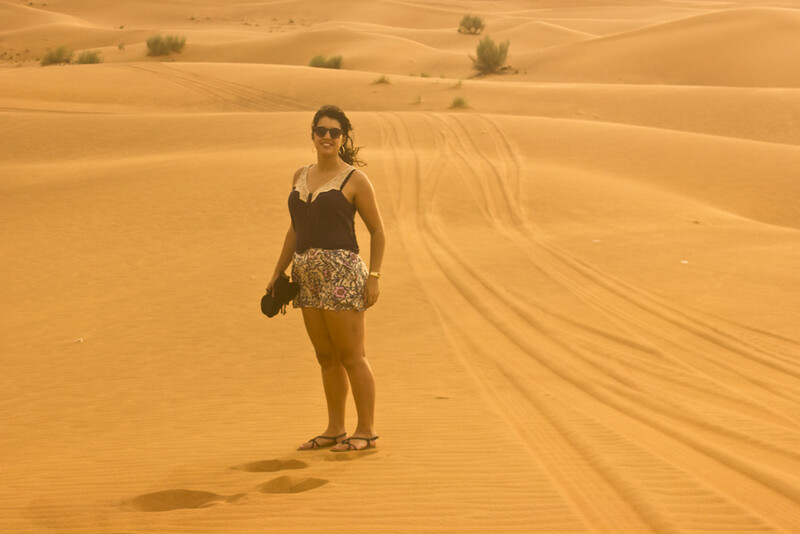 Whilst in the desert we got caught in a sandstorm. I’ve never seen a sandstorm before and it was incredible. It looked like swirls of red cartoon smoke rising off the dunes, except very heavy smoke that moved more like a cloth in water. 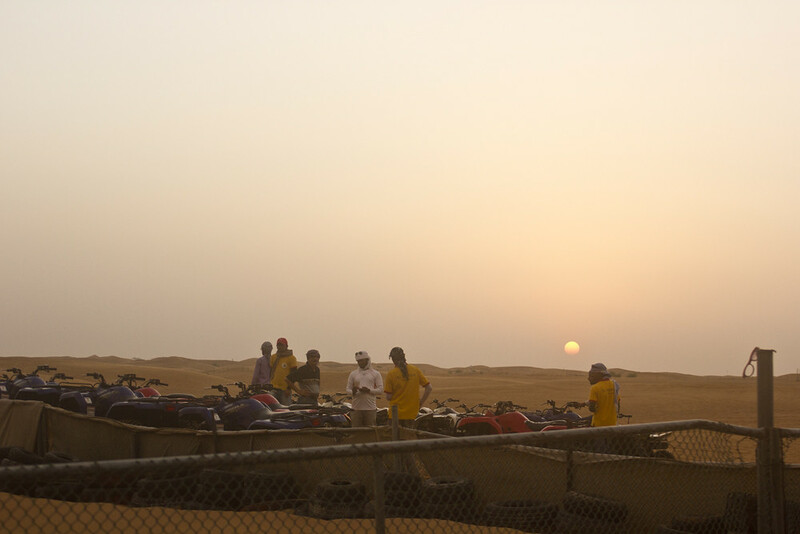 We travelled through the dunes by camel, and later I tried quad bikes. Both were brilliant! I love camels; they’re very intelligent animals who always look like they’re smiling. They are also incredibly well adapted to survive in the desert; they can walk continuously for 18 hours and smell water from over 2km away. 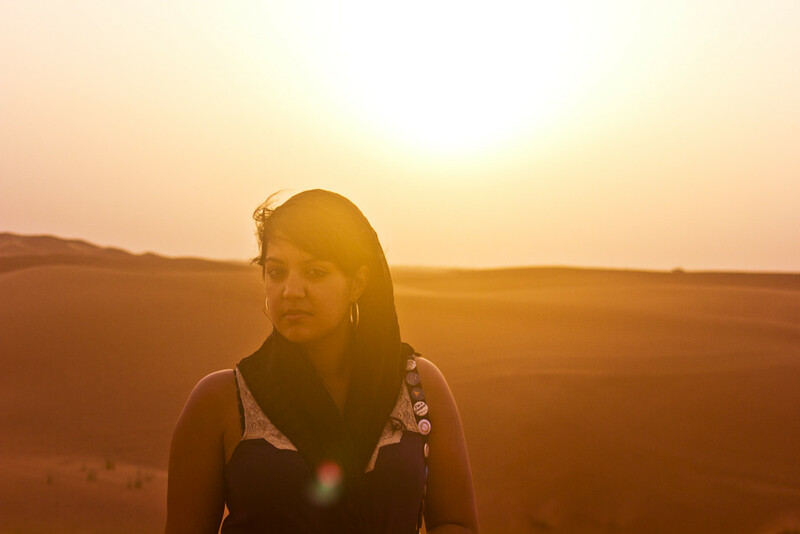 I was given this headscarf by our camel guide to stop the sand from destroying my face (sandstorms look cool but are quite painful). 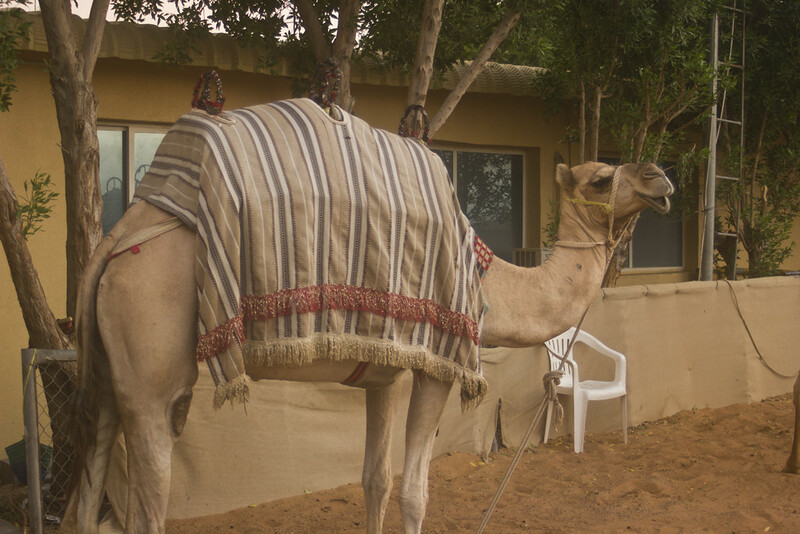 Between the headscarf and the fact that my camel seemed equally as taken with me as I was with him, the rest of our group kept joking about me having secret Bedouin roots. The Bedouin seem a really interesting people despite the fact that the 20th century has seen huge changes to their culture. Traditionally the Bedouin love good deeds and followed a strict code of ethics in which everybody in the tribe needed to learn a craft (women trained alongside men). They are incredibly generous hosts, giving up their most prized possessions in order to be deemed hospitable. 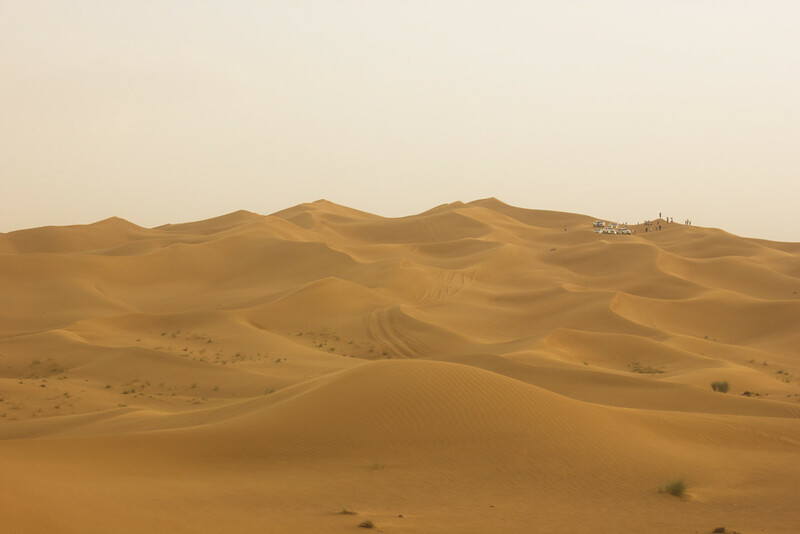 Despite the hardships desert life must bring there is something remarkable when you think about people living amongst the dunes, following the stars and trusting your camel to lead you to water. P.S. If you’re thinking, “I thought she was pro-animal rights? What is she doing riding a camel?” then my thoughts have been previously documented here. 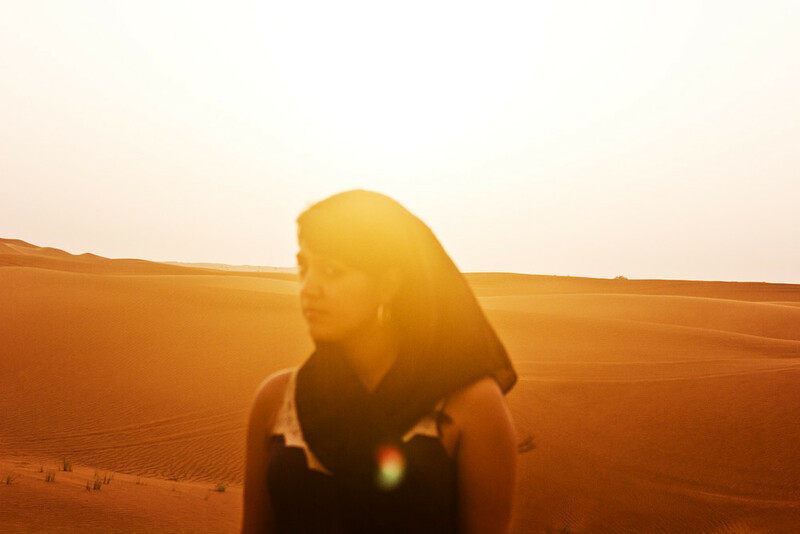 "Discovering The Old Town Of Dubai"
This must have been such an amazing adventure, dear Laila, I would looove to be able to do the same one day! Honestly, I loved the pictures and the story behind them. I never saw a sand storm, at the beach it doesn’t count (the family had a house at a beach with high dunes, but alas, that doesn’t count, it was not a desert!!!) I love camels too! I am really amazed by the story about them, that they can smell water so far away! And the bedouins seem to be very nice, so I think you had an amazing time there! I love to read about your stories! the desert becomes you! 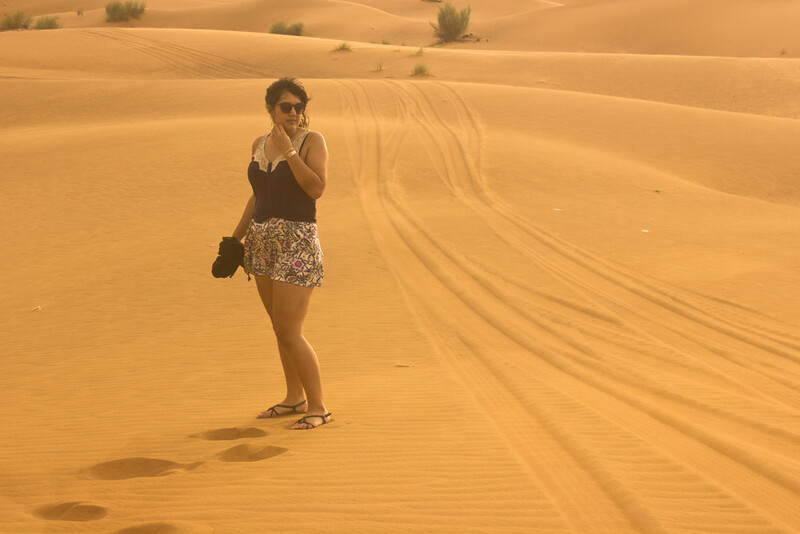 You look absolutely gorgeous in the midst of this sand dunes lunar landscapes. It must have been incredible to be in the middle of a sandstorm and share this hospitality experience with local Bedouins. And I hope all is well and back in order for you and your loved ones. Beautiful photos, the sand colour is great. I have been once in a sand storm and it was frightening and very special event. It was so hot that I thought my skin was burning. Wow! 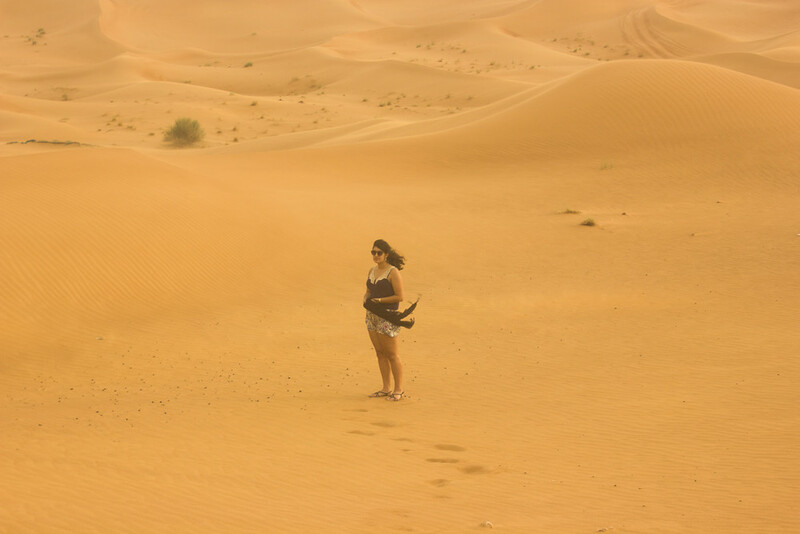 The arabic desert, the sand dunes and patches of shrubs, the tracks and footprints, a strange beauty in middle of sandstorm, with her boldness switching to listlessness with a diaphanous rainbow engulfing her from horizon. Poetic environ. 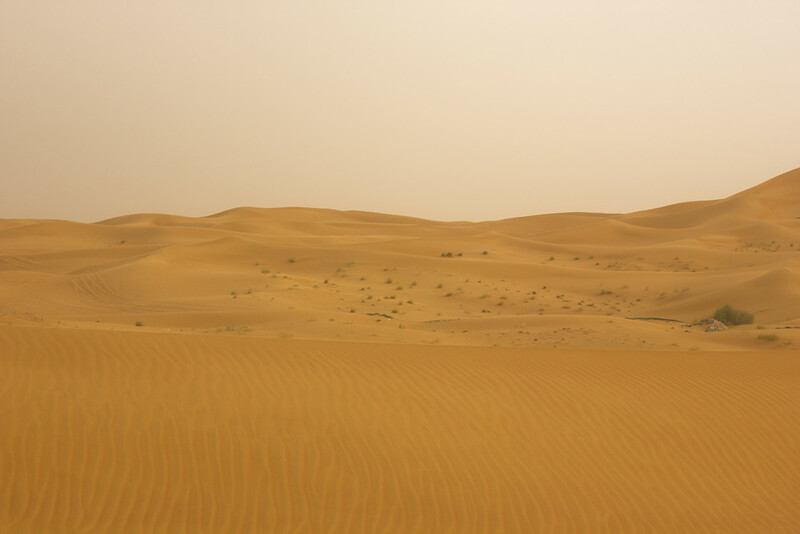 I’ve never experienced a proper desert landscape before. It looks amazing! I’m kind of afraid of camels though aha. Beautiful post as always. You see the gift in all experiences. We had a sand/dust storm here in Arizona 2 days ago. It does create a spooky, ethereal cloud and light. I think the culture has it right. Live with an abundant attitude (rather than scarcity) and give generously knowing you will always be in the flow of abundance. We almost always have this backwards in ‘civilized’ culture. Wow that whole community vibe and making sure that everyone is being useful not only to themselves but to those around them is remarkable. I wish more people felt that way in the world. I’m sure there would be a lot less hurt and pain to go around. Hi, I enjoyed reading about your time in Dubai, riding the sand horses. Especially interesting was the first paragraph about the interplay of wind and sand. Would love to hear more about your experience in regard to the sights, smells and sounds and how you feel while there, in comparison to city life. P.S. I always enjoy reading your posts. Thanks, I’m glad you are enjoying my posts! I’m only just thinking it now that I’ve read this post – but I would love to experience a sandstorm. From how you’ve described it it sounds like an incredible sight! What stunning photographs. Thanks for sharing – I have never been in such a vast location it’s absolutely beautiful. Don’t know much about the Beduoins but would love to learn more. Oh wow these photos are awesome. 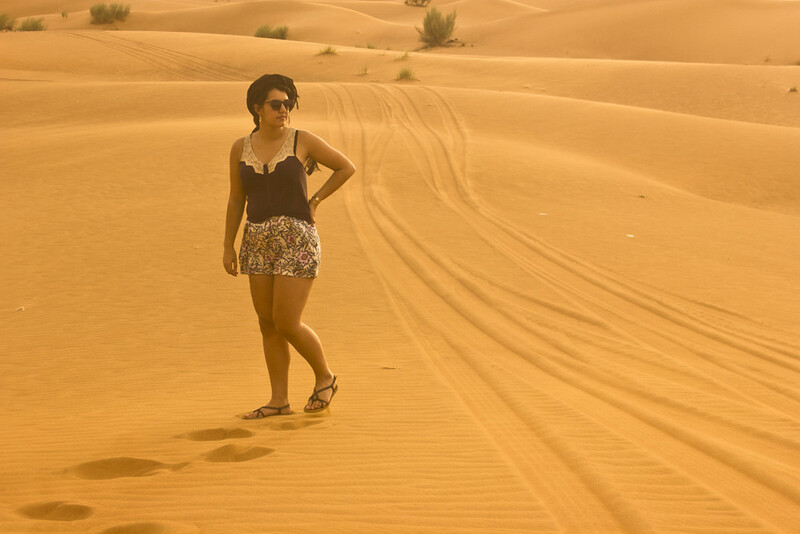 It must have been super hot but ignoring the realities of desert life, the nomad life of sitting on a camel and travelling across the desert does have a romantic charm about it. That camel looks pretty badass. I’ve always wanted to see/ride on one. I can’t imagine how it would be to ride one in an actual desert! I didn’t know those interesting facts about camels. I have never seen one in person yet, but I do have to agree… I love how they always seem to be smiling.